I feel that before I go divulge the finer details of this song, I may have to guide you though the initial thought process that I endured on first listen, in case you fall victim to the same mistake I nearly made: After donning my ‘comfy’ headphones, kicking back and hitting PLAY, my knee-jerk reaction to the ensuing guitar melody was “Am I listening to the right track here, or have I hit play to ‘Behind Blue Eyes’ by The Who?” but then I was hit by the soulful vocals of James himself, closely followed by the beautiful arrangement of lead guitar, drums, bass and keys. It’s then that the song begins to make sense by its own rights. Although I think it’s fair to say influences have been drawn, this is clearly a band that have more about them then to “Rob” *ahem* the legends of yesterday. So anyway, what is ‘Rob Song’ actually like? In short – It’s good. Really good in fact. Here’s a band that have composed a song that is mature, not in a boring way, but in a way that makes sense. Every sound, beat and intonation has its purpose. Nothing is ‘just because’ or ‘for show’. Structurally the song is extremely well balanced, especially for a 5 minute long alternative rock ballad. It would be very easy for this song to get stale or repetitive, but ‘Rob Song’ held my attention for it’s entirety. Although the vocals are something Nickelback’s Chad Kroeger can only aspire to, the deep philosophical lyrical content is not to my taste, but this wont bother the majority of other listeners, and I can see how asking questions about the afterlife will only resonate even more with the people who actually ‘get’ the lyrical content. One thing is for sure though, the lyrics defiantly give the song a sense of importance and depth, both metaphorically and melodically. And the clever, dare I say ‘angelic’, backing vocal harmonies are a delight. Special mention has to go to the fantastic production values, which manage to balance soft acoustic melodies with powerful drums, not to mention a rip-roaring guitar solo that sits so perfectly mid song. The whole tune is a joy to listen to time and time again. Nothing is lost, the lows are bold but smooth and the highs are crisp and clear. Brilliant work. The song builds and builds to a well balanced crescendo, ending with a poetic major key twist to finish things off. A gentle nod of positivity to say “maybe he’s not alone after all?” ….who knows? 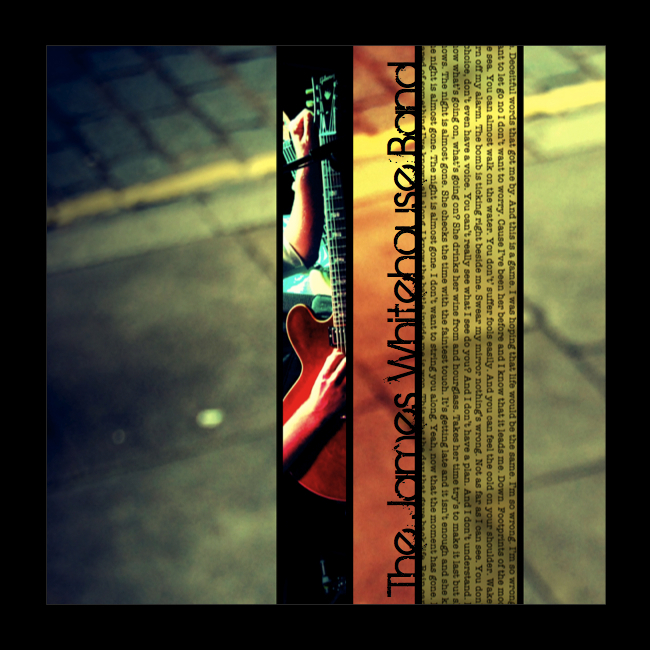 The post The James Whitehouse Band – Rob Song appeared first on MakoMusic.